It is advisable to hire a professional especially when a pest problem keeps on recurring, the pest population is large, or if pesticides used have a restriction on DIY use. The need for pest control experts has increased and there are so many companies offering these services. If you are having a hard time deciding on which company to hire, here are the most important things to put into consideration. What do you know about pest control methods? While it is safe to trust an expert with the process completely, it will be difficult to pick the best without some little background knowledge. 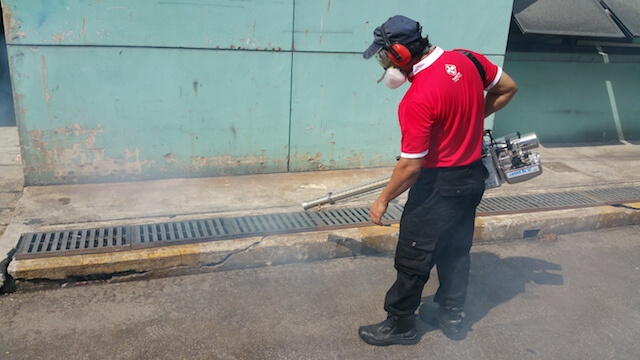 While at it, you can also check on the services offered by pest control companies in Singapore. Read reviews by other clients so as to assess the quality of services a certain company offers. You can come up with a list of companies to choose from. Is the company legally registered? Are the technicians certified to offer the services you need? You are hiring the services because you do not have the expertise to perform the treatment effectively. You have to ascertain that those you hire have the certification as required by the authorities. Different pest control services use pesticides of different types. Some are made using natural products while others are manufactured chemically. Different methods are ideal for different types of pests. Understanding your pest situation will be helpful in identifying the services you need. For how long have the company being in operation? Which pest control services do they specialise in? Not all companies offer all types of pest control services. You should find out if the company you prefer offers the services you are seeking. The company should show evidence of having had offered such services successfully in the past. Having an inspection before hiring services is a good way of analysing the quality of services a company offers. During the inspection, you will be able to discuss the method that will be used, safety measures to be observed and the complete treatment plan. Choose a company whose technician listens to your opinions and is able to clearly explain all the steps of treatment. Quotes give you an idea of how much hiring the services will cost you. After comparing quotes from different companies, choose one that you can well afford. Even so, do not completely base your decision on affordability; match that with the quality of services you want to receive. Every agreement is backed but by clear documentation. Before you sign anything, ensure you agree to everything that is documented. Know what your responsibility is and what will be done by the service providers. Pests can cause discomfort and lack of peace. In extreme cases, they cause extreme damage and bring about huge losses. The only way to effectively deal with these is to hire a company that deals with pest control.